Easter is just around the corner and you may be struggling to come up with ideas that are outside of the traditional giant chocolate eggs. You may have even left this to the last-minute as the season seemed to come up pretty quickly this year. 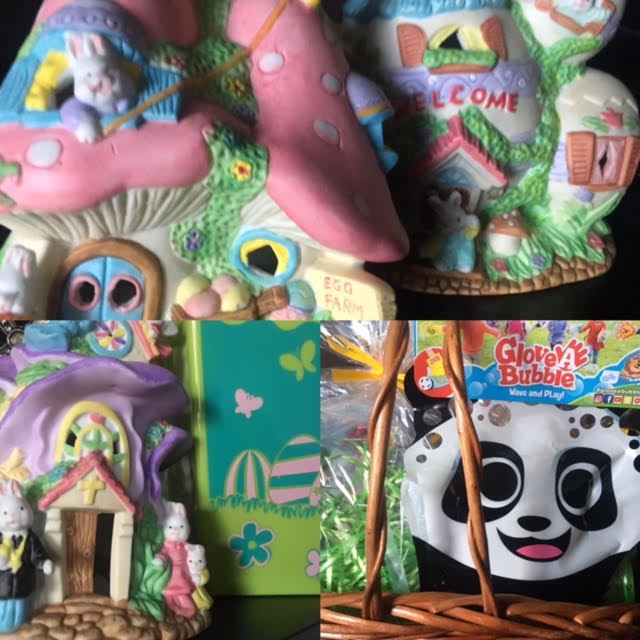 I love to create baskets that are personalized to the child and more than just sweets and chocolates as let’s face it, as parents we know our children don’t need anymore sweets – they get enough. But sometimes we may be at a loss on what to purchase and how much. I like to follow my three item checklist: something educational, something fun and then something sweet and delicious. But where do you start? Know the child you are buying for! Sounds simple right? But a lot of times people forget this and get things that look cute and are Easter branded. Look at the child’s hobbies, extra curricular activities, their personality and their age. All of these factors will give you great clues into what to buy for them. Set a budget and stick to it. We spend roughly $40 on each boy and $30 each for our niece and nephews. Now before you think that is too much you could easily blow that on chocolate alone for each child and we try to shy away from that. Add in something educational. I love reading and always include at least one book in every gift that I give someone. Personalize the inside cover with a special message to make the book that much more memorable for the child. Add in something fun – this is a must for kids of all ages. This year, we added in Zing’s Glove-A-Bubbles. 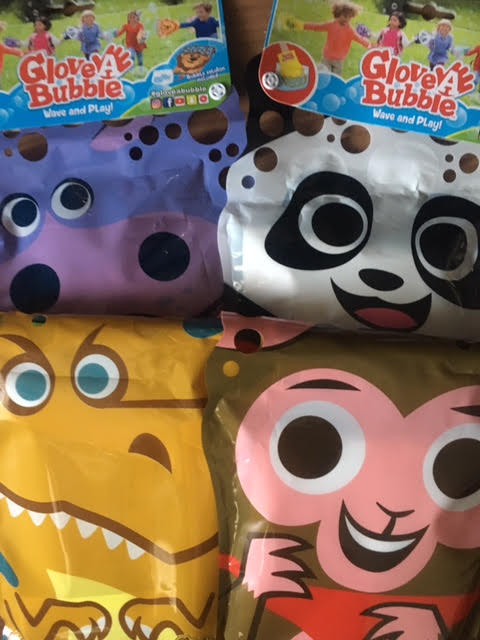 These “bubble gloves” come in eight different animal themes including lion, alligator, hippo, elephant, dinosaur, panda, bunny and monkey. 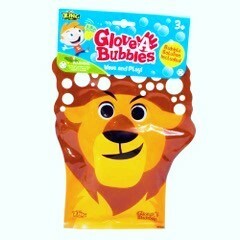 Each package comes with one glove and two bubble solutions for hours of active play. 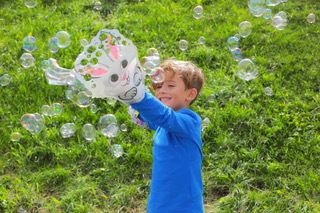 They are super easy to use (especially for younger kids who struggle with the bubble wands and their smaller fingers), just dip the glove that is on their hand into the solution and begin to wave it around to create bubbles. These super fun gloves come in at a great price of $3.99 Canadian and can be found at Amazon, Mastermind, Indigo, Giant Tiger and Canadian Tire. You can find even more unique and fun gifts for all year round at the Zing Store online. Add in something sweet. Let’s face it while we can try to avoid the sweets as much as possible, the kids still expect a little something in their basket. I like to avoid the holiday commercialized sweets as much as possible and go for candies and chocolates that my children will actually eat. This means I pick up a couple of chocolate bars from the Dollar Store to add to the basket. Pick a base. Now that you have all the items for your basket, you can choose the type of Easter basket you want to use. I have used everything from a traditional basket to a plastic basket to even a plant pot. I have also just used the green “grass” under the presents and wrapped the entire gift up in cellophane with no firm base at all. Beautify it! Once the base is chosen, I like to add in the extras like green “grass” and some small plastic eggs around the gifts. Then wrap it all up in cellophane and tie it off with a bright bow in a colour of your choosing. Then display it proudly for Easter morning in a giant wooden basket. What are your top choices of Easter basket gifts? Do you prefer sweets or choose practical gifts to add to your homemade basket? Make sure to follow Zing on Twitter and Facebook to keep up with all of the coolest new toys and games. Disclosure: I received Glove-A-Bubbles in order to facilitate this post. All opinions expressed are my own. This entry was posted in Lifestyle, review, reviews.